As you head back to school after the holiday break, get the new year kick-started with a fresh take on New Year's resolutions. 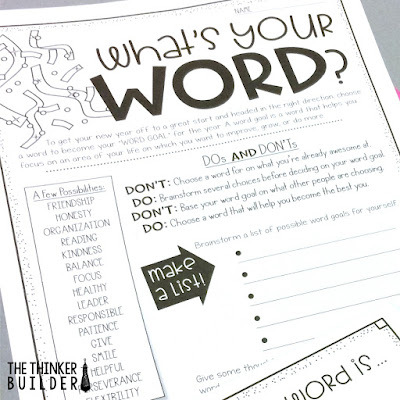 Explain to students that they will choose a word for themselves, one that will help them focus on an area of their lives in which they want to improve or grow. For example, words like "organization," "grateful," and "confidence," might become a student's word goal. 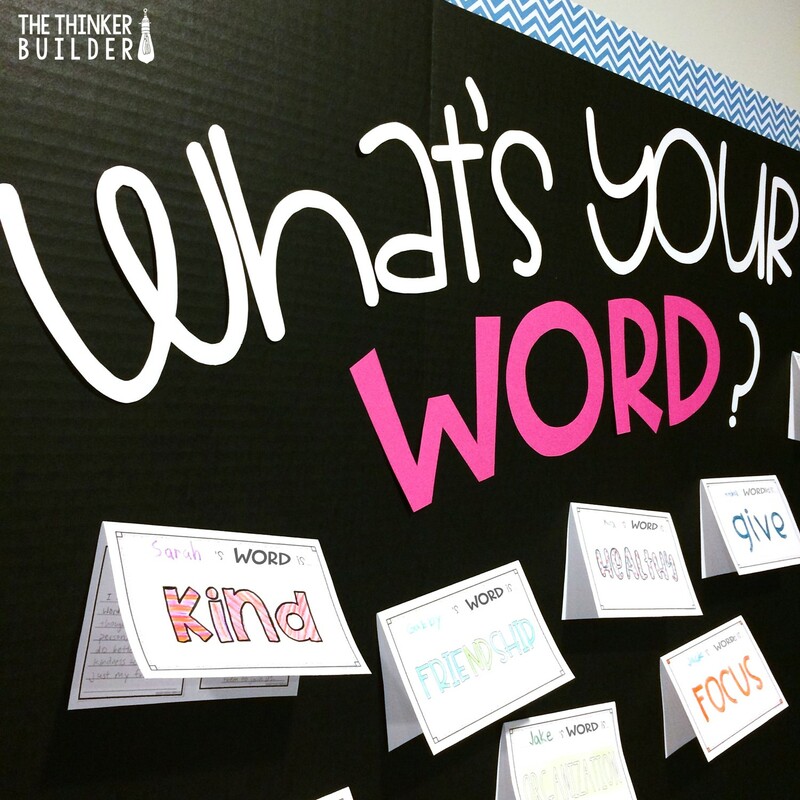 Have students brainstorm several possibilities before choosing the word with which they'll move forward. Once students have chosen their word, have them create a poster to showcase their goal. Fold a piece of paper in half. 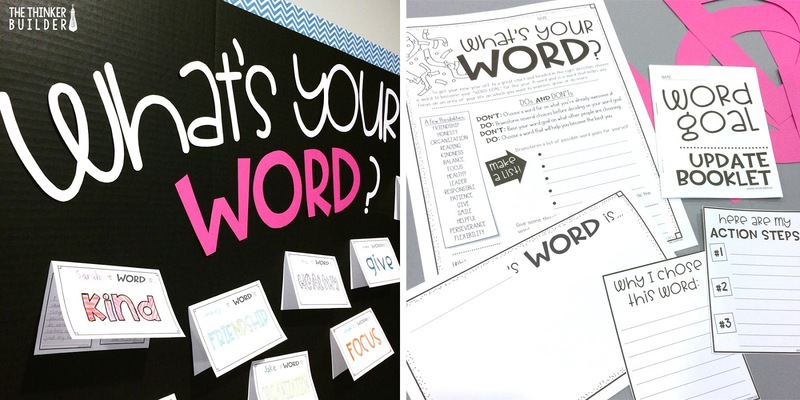 On the outside flap, students draw their word in a stylish way. 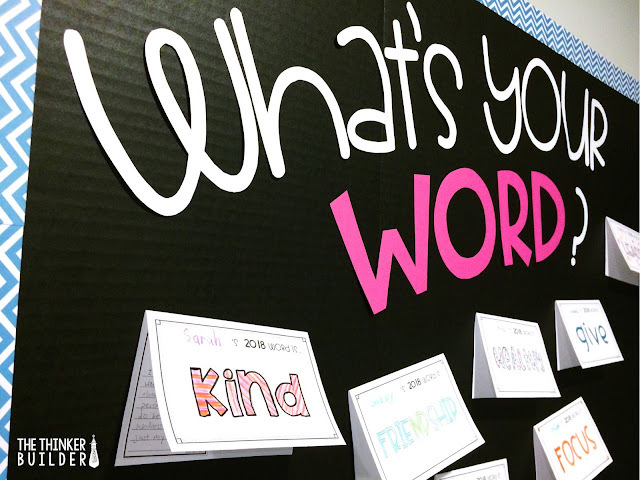 Or have them create a word art piece using PowerPoint or Google Slides. 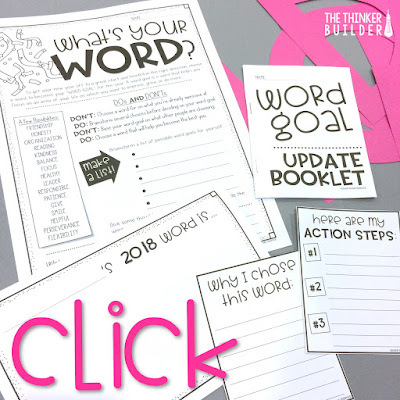 On the inside, students explain why they chose their word and give action steps or examples of how they might work toward their goal. 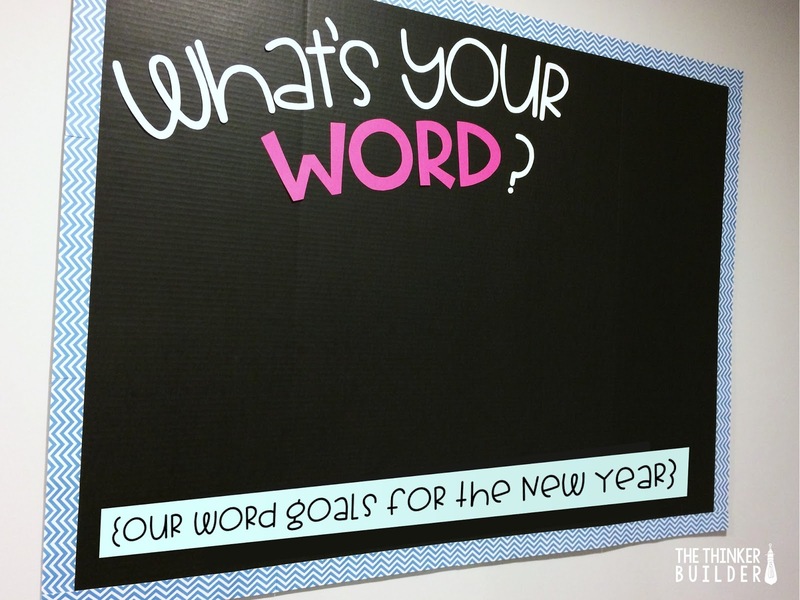 Set up a bulletin board to hang students word goal posters. Use a catchy phrase like, "What's Your Word?" as the title to your board. 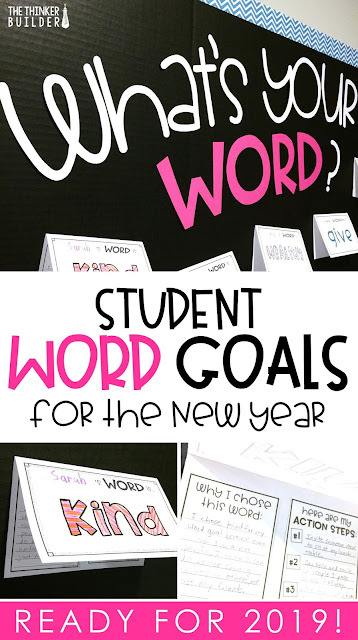 Showcasing students' word goal posters will serve as encouragement and reminders to students. 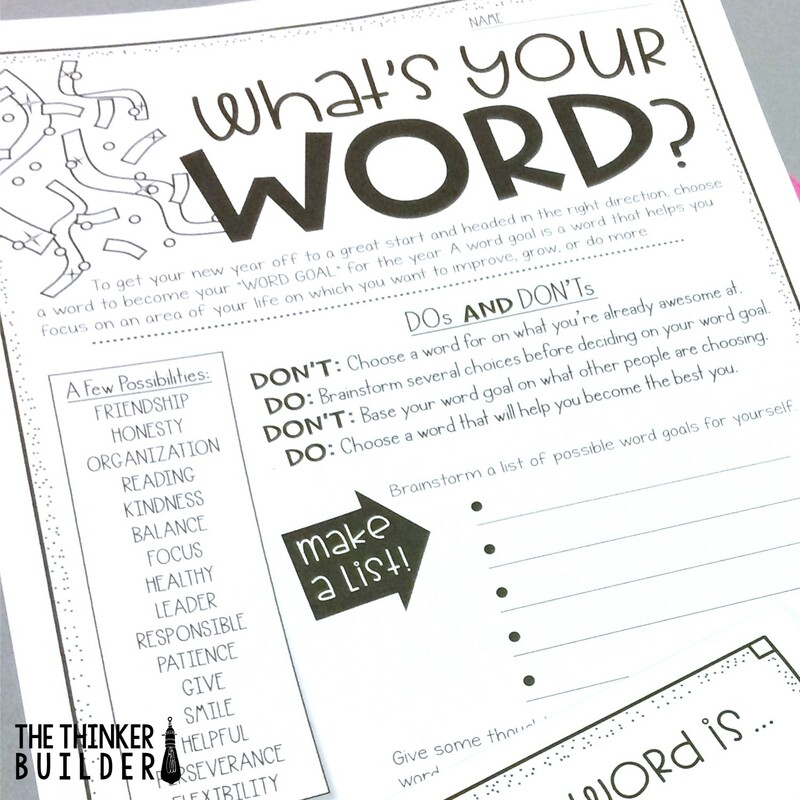 Follow up on students' word goals every couple of weeks or so, having them reflect on their word and update their progress toward their goal. Also consider discussing and selecting a few whole-class word goals to display!